Tired of wondering who has keys to your facility? How many keys have been made over the years without your knowing? Thinking of re-keying but want more key control? 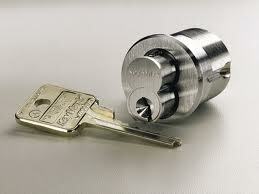 We’ll we have a complete line of high security key controlled solutions for you. At Professional Lock we offer three of the industry’s best lines in High Security Key Systems with absolute key control. all three of the ASSA & ASSA Cliq® and Medeco Keymark® and Schlage Primus ® lock systems provide the user with unsurpassed levels of key control. The ASSA Twin Maximum is one of the worlds leading high security products that can accommodate a wide variety of both institutional and residential applications. Assa offers a full line of cylinders designed to retrofit the leading lock manufacturers’ lock sets along with our own stand alone deadbolts, padlocks, and auxiliary locks. ASSA®locks employ a patented dual locking mechanism that renders the lock virtually pick proof. This unique operation has allowed us to develop a patented key control system which protects against unauthorized duplication of keys and that can be master keyed into a security system to fit any customer’s needs. 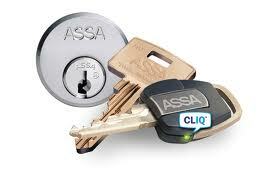 All ASSA® high security products are listed under U.L. 437, a set of tests used to determine a product’s physical resistance against various forms of attack. In addition to the ASSA Twin Max system we also are a factory authorized dealer for Medeco High Security Keymark System when a small size removable or “Interchangable Core” Locks are used. Medeco which is also an ASSA/ABLOY company is another leader in the High Security Key Control with their unique angled cut keys and secondary sidebar locking system makes Medeco a sure bet when in need of key control. Medeco also offers a cost removable core system. 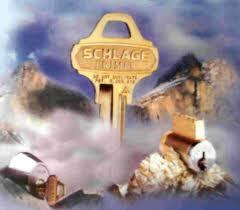 Being in California Schlage Lock the original home of Schlage, they a predominant provider in the commercial market place. This offers us a unique opportunity to custom design an “All in One” keying system. By this we simply mean that we can mix and match existing Schlage locks to key in with High security Primus locks and integrating them into one mastered system providing both High Security absolute key control on priority areas and exterior doors without the costly expense of replacing interior non priority area locks just to have one complete system. No matter what brand of locks your facility has Professional Lock has a High Security/Key Control solution for any door. Take back key control today and call us at (916) 929-5595 to schedule a free walk through of your site.